Medium Barrier Bags, 6" - 15"
IMPAK’s Medium Mylar® Bags are defined as any barrier bag sized over 6" and under 15". Speak with our specialists about custom films and sizes. 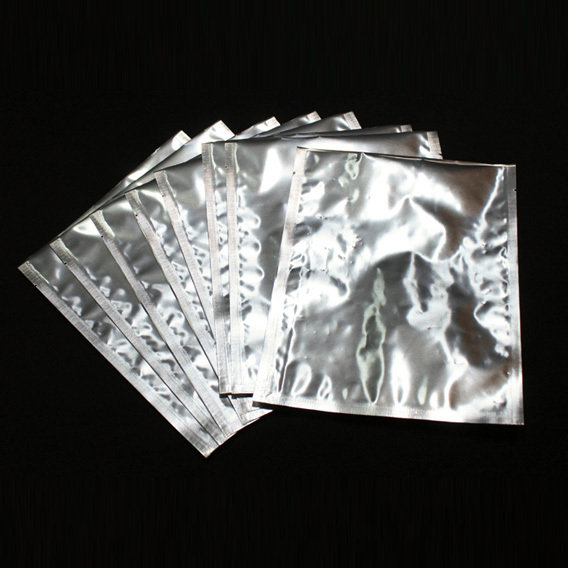 IMPAK (sorbentsystems.com) produces small to large Mylar® bags for a wide range of applications which require advanced barrier protection and specific moisture and oxygen levels. Custom sizes are always an option, so please feel free to ask. Although IMPAK serves multinational, Fortune 500 companies, we also serve the needs of individuals looking for long term food storage solutions and disaster preparedness packaging. Many of the bags in our Medium Bags section are ideal for this use, and we also have a section about the complete “Sorbent System” for proper long term food storage here. A sorbent system is a storage method consisting of two parts: a container or pouch, such as a Mylar® bag, with a high oxygen and moisture barrier, and an oxygen absorber or desiccant. The combination of these two parts provides superior resistance to environmental moisture and oxidation damage. Ask one of our experts how a custom sorbent system can benefit your product.